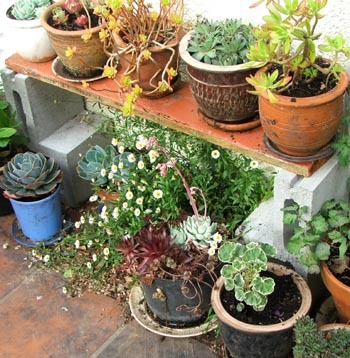 A collection of garden pots sits by the sliding doors to the patio. These are filled with several varieties of succulents, and they get enough frost shelter to stay here all year round. I regularly have to clean gum tree leaves out of the pots. And in summer I worry that they will get too dry. The barbecue is close by, too. I'm rather lazy about repotting things - maybe this year? 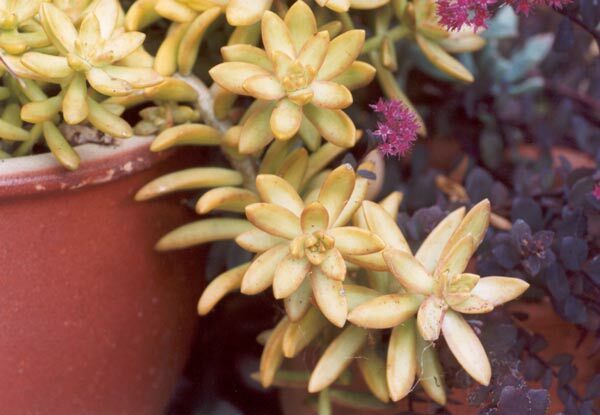 I have other succulents scattered around the house patio and decking in clusters of pots. Because I didn't known their correct names, my early writings are filled with the following : 'sedum? sempervivum? echeveria?' Recently a kind Facebook follower has helped me get on the naming track. 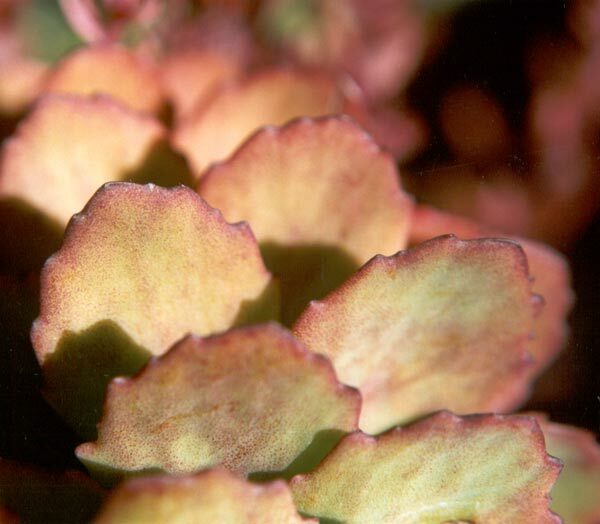 Here is a close up detail of one of the smaller succulents. In autumn its leaves turns red before it gets trimmed back. 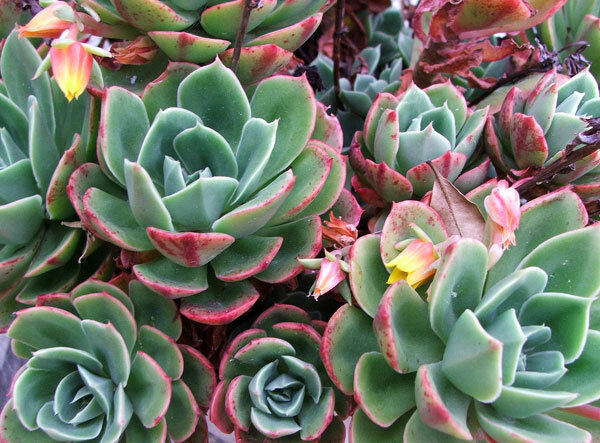 And here's an easy-care succulent which I think is an Echeveria.